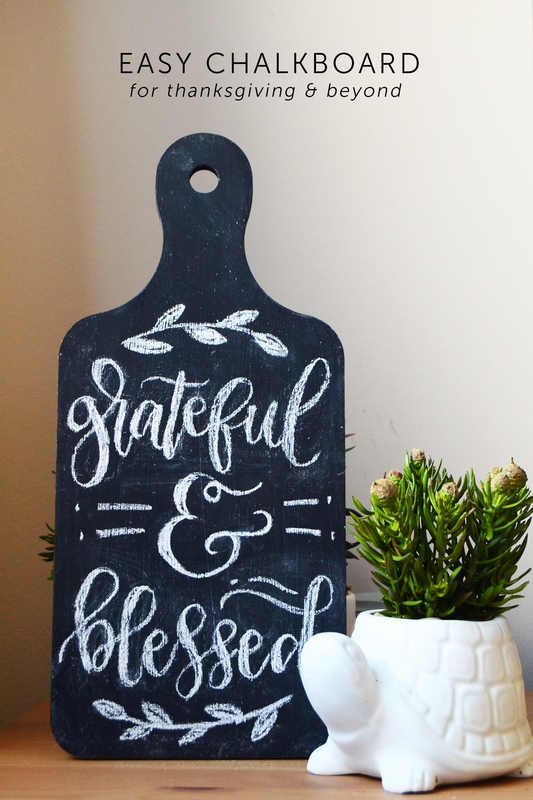 Use an MDF breadboard to make this unique DIY chalk board. 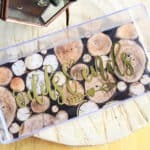 Perfect for writing messages for Thanksgiving and other holidays – or even every day! Hey there folks! 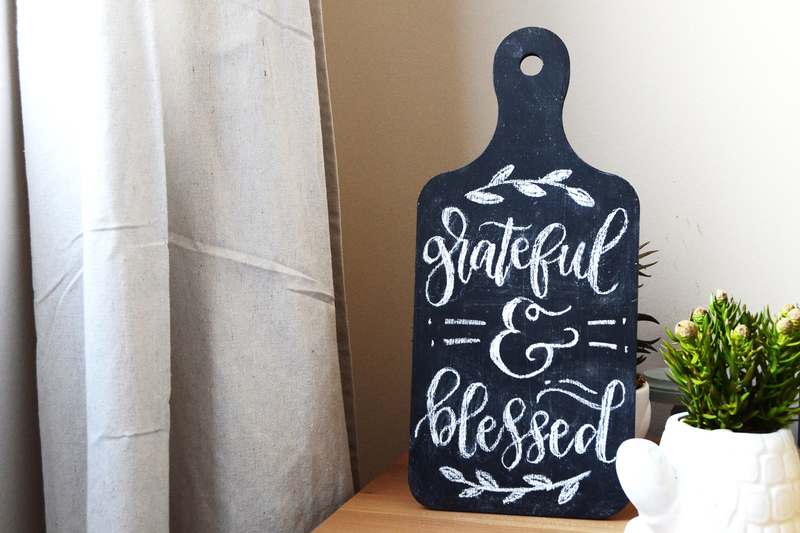 Today I'll be sharing with you how to create this SUPER EASY DIY chalk board and chalk board art! 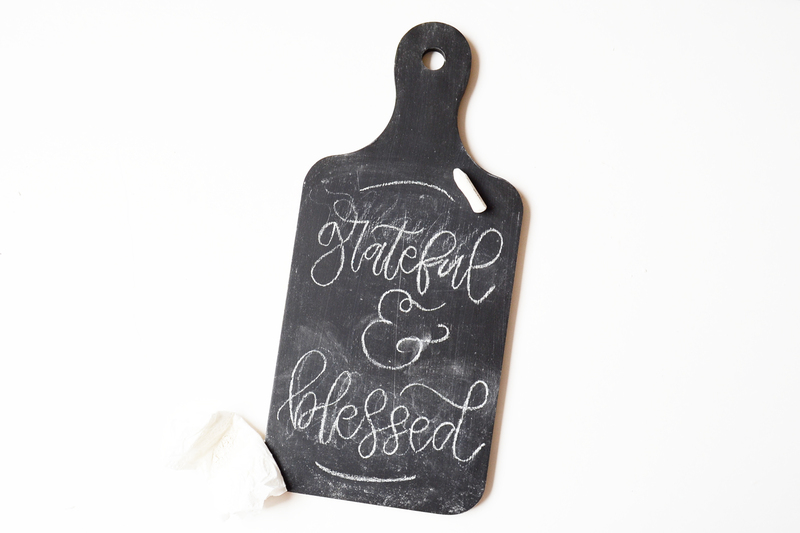 I love chalk boards and I have them all around my apartment – they're very handy in writing down things I most likely will forget and things that I need in the kitchen. But it's also a great surface for hand lettering and writing encouraging messages. 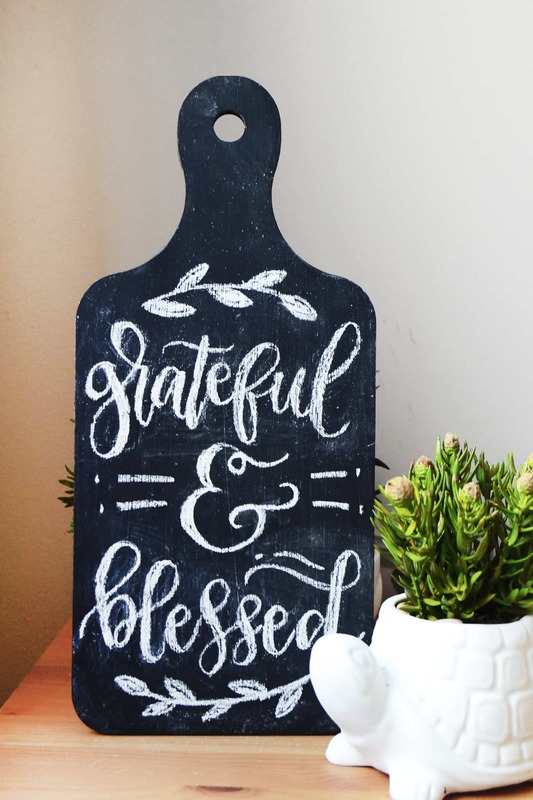 This chalk board is a perfect decor idea for your kitchen and can be used for Thanksgiving and other holidays (or even normal days). 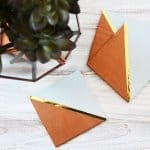 Also learn how easy it is to make a ton of these in less time – it'll be perfect for gifts for the holidays. So let's jump in and see how I made it! Step 1. 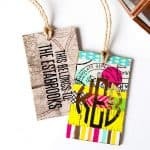 First, sand your wood or MDF board. You want it completely smooth. Step 2. 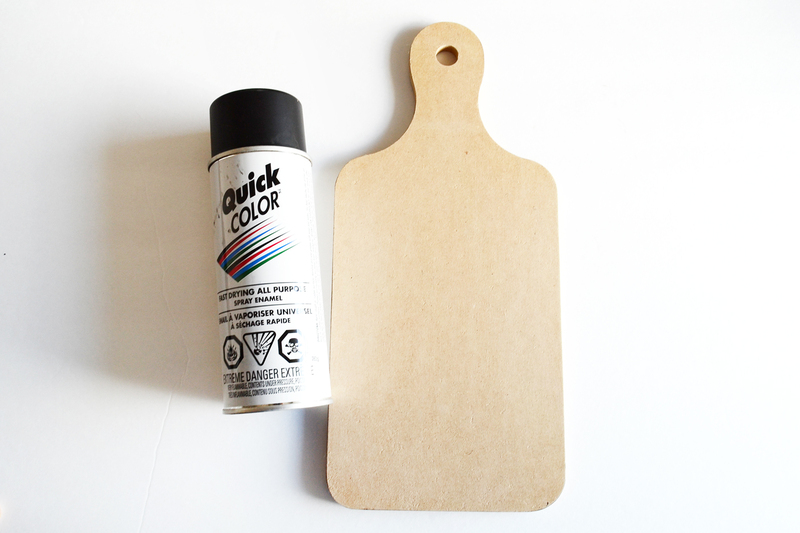 Spray paint the surface of your board – it doesn't matter what color or even how inexpensive the spray paint is! This is one of the secrets. 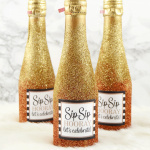 This is actually less than $2 at hardware stores, so you don't have to buy expensive chalkboard spray paint! Step 3. 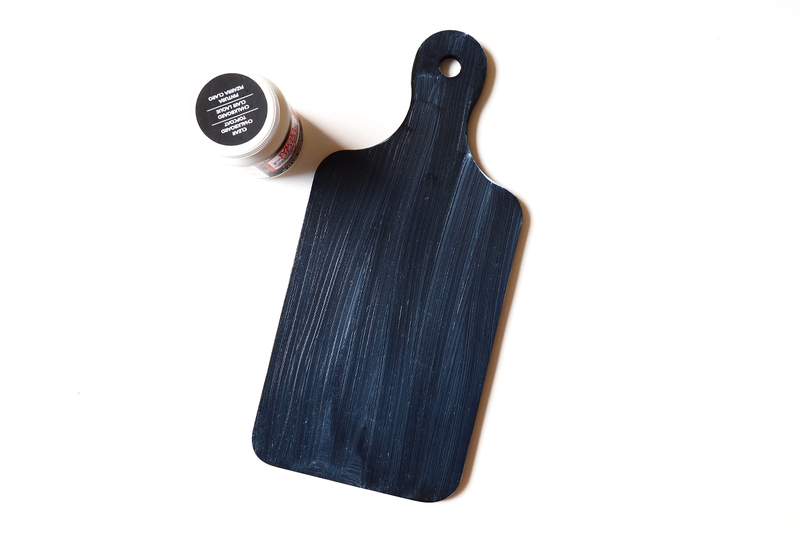 The magic trick in this DIY is the clear chalkboard topcoat from Mod Podge – seriously this thing turns any surface into a chalkboard-ready surface – it's awesome. Step 4. 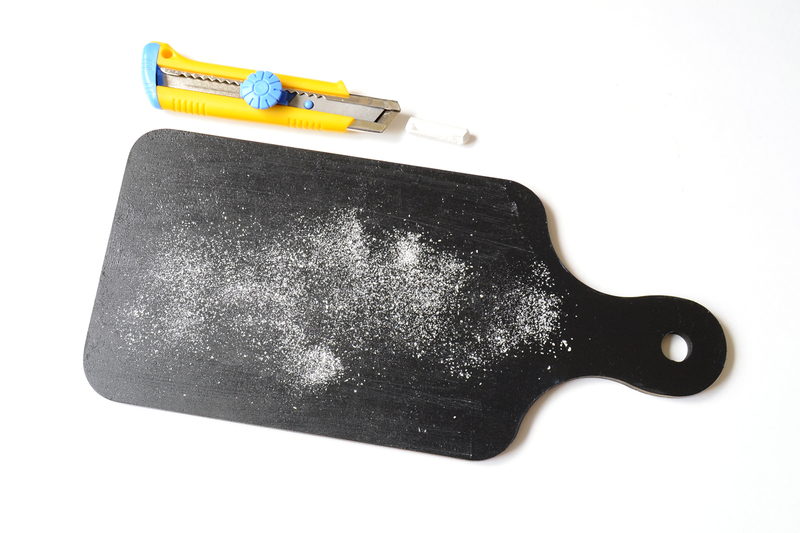 Once your chalkboard is dry, season it with some chalk shavings. Wipe the excess with tissue paper or paper towel. Step 5. Sketch out your design – use a piece of chalk, but you can use a chalk marker or pen if you want it more detailed and precise. If you aren't into hand lettering, you can always print out your design and trace it to transfer and fill on your board. Step 6. Use a clean damp q-tip to clean up your design and you are done! 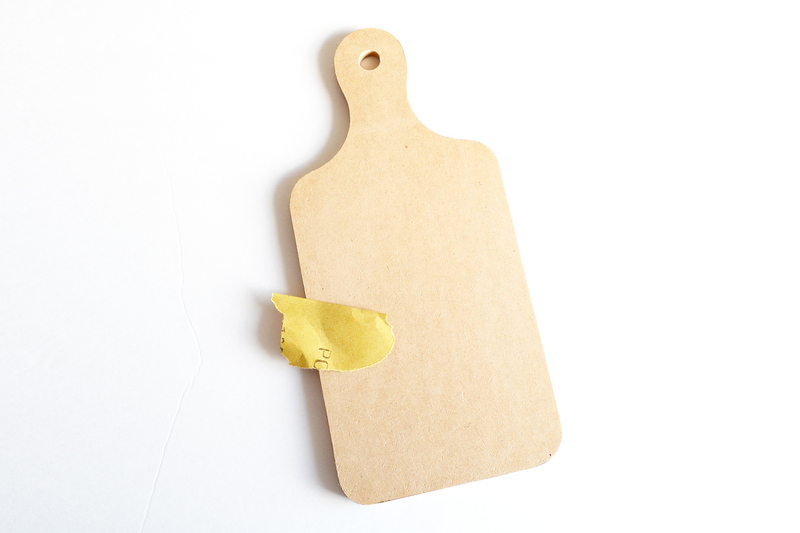 If you want to preserve your design, you can use a clear spray fixative to keep your design secure. 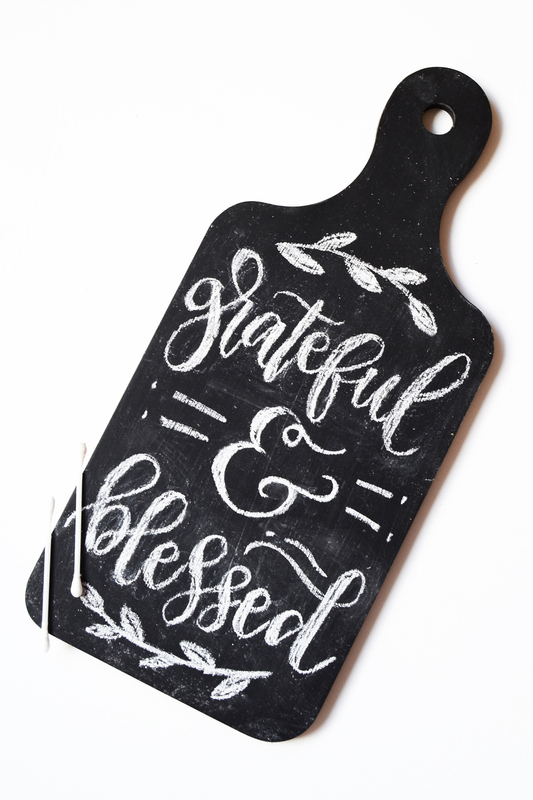 Not only is this DIY chalk board perfect for hand lettering, you can use it as a menu board or a sign board for parties, or even maybe a cheese tray! 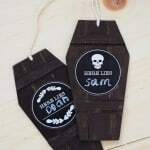 Don't forget to check out my blog for other DIY ideas and free printables! Happy crafting, friends!